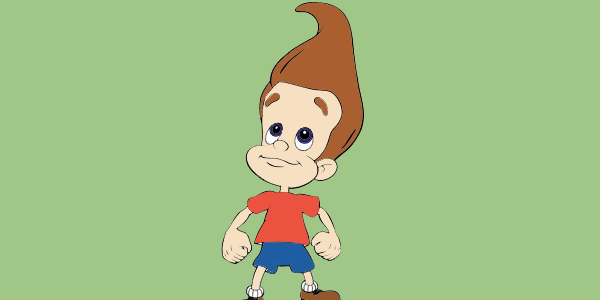 James Isaac Jimmy Neutron is the main protagonist of the show. He is a 10-year-old American boy with a stunning IQ and a love for science. 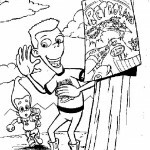 Usually, his inventions cause more harm than benefit for the city of Retroville, but that never stops him from trying. Most of the time, he’s busy saving the city from his own experiments gone wrong. He is best friends with Carl and Sheen. Throughout the series there are hints that he has feelings for Cindy Vortex. The film begins at an Air Force base somewhere in Colorado. Their radar picks up what appears to be a UFO and they send up some F-14s to examine the situation. The pilots are surprised to find that it is a rocket carrying two boys and a robotic dog: Jimmy Neutron, Carl Wheezer, and Goddard. 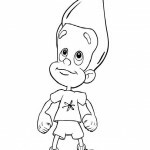 Jimmy needs to launch a communications satellite made out of a toaster, hoping to communicate with an alien species he believes exists somewhere out in the universe. Unfortunately, the pulse rockets fail, and the rocket starts to fall back to Earth, unable to break through the atmosphere. Jimmy shakes up a soda can, tapes it to the satellite and throws it, propelling it into space. 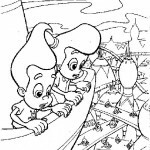 Jimmy manages to eject Carl before the rocket crash lands on his roof. He is reprimanded by his parents and misses the bus to school. 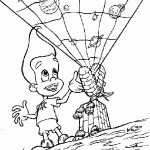 Undefeated, Jimmy then tests his latest invention, a form of bubble transportation made from a special bubble gum. He catches up with the school bus, but the bubble pops when it hits a tree. During show and tell at school, Jimmy shows Ms. Fowl and the class a shrink ray. 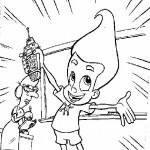 He attempts to shrink the head of his rival, Cindy Vortex, but the ray malfunctions and does not work. He is teased by everyone, including the most popular kid in school, Nick Dean. After he throws the ray away, however, he accidentally shrinks his teacher, Mrs. Fowl (who got attacked by a worm). 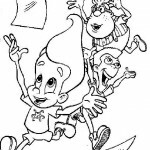 When walking home, Jimmy, Carl, and their friend Sheen Estevez (who is obsessed with the superhero Ultralord) spot a poster for an amusement park opening that night. Nick tells them that he’s going and convinces them to come with him. 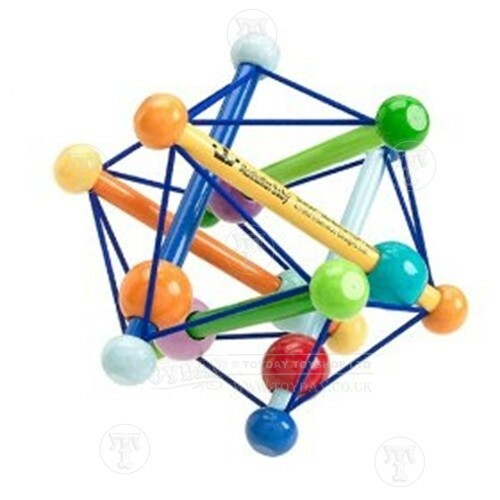 Jimmy uses various inventions in his lab (disguised as a clubhouse in his backyard) to create jewelry for his mother. He gives it to her hoping that she will allow him to go, but she refuses since it’s a school night. 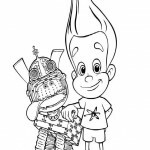 Things get worse when Jimmy’s jet pack sets the living room on fire (breaking a rule that no rockets are allowed in the house) and Jimmy is now grounded. 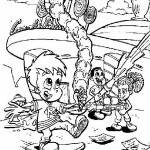 Using the shrink ray, Jimmy is able to sneak out of the house (with Goddard hiding in his bed in case his parents look in on him) and join his friends at the park, Retroland.